Tanya, Bindii, Mieka, Finn and Dominic are passionate about giving children the opportunity to express themselves creatively. Between them they have a wealth of experience teaching, creating and facilitating visual arts. 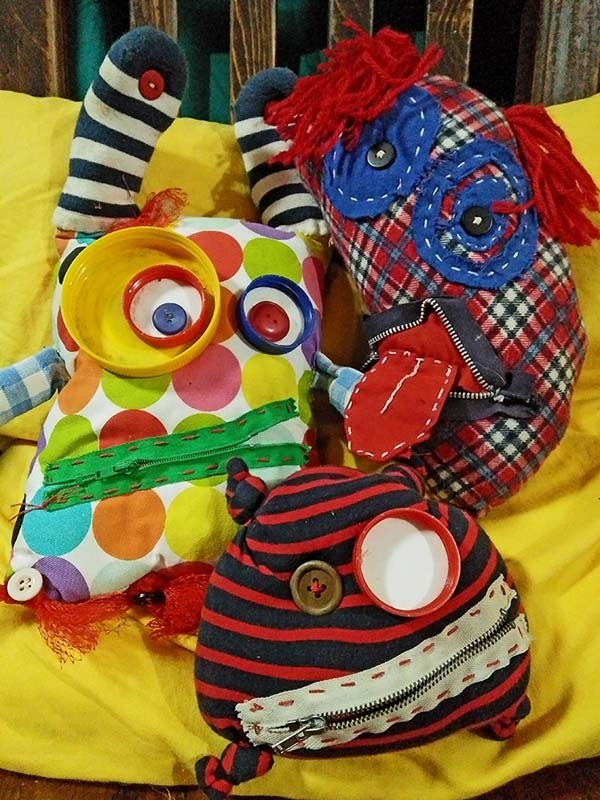 Delve into a mind-boggling array of recycled odds and ends, and using your imagination, hand-sew a soft sculpture, pillow friend.